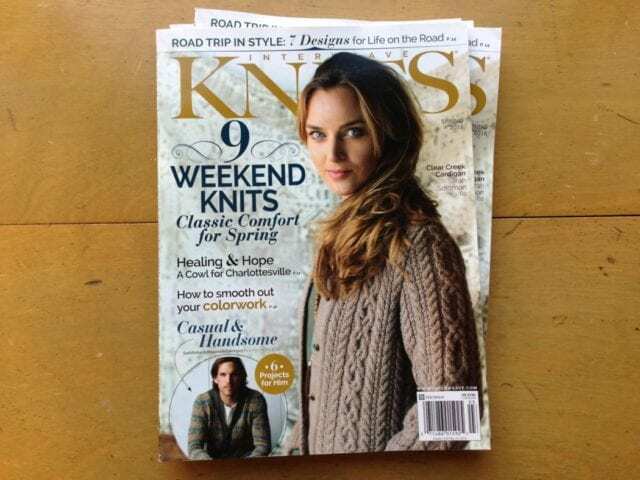 Today, we welcomed the newest issue of Interweave Knits to the teacart, where the latest books and magazines are stored. This Spring 2018 issue is full of garments for men and women alike, and I spotted a few familiar yarns at work among them. 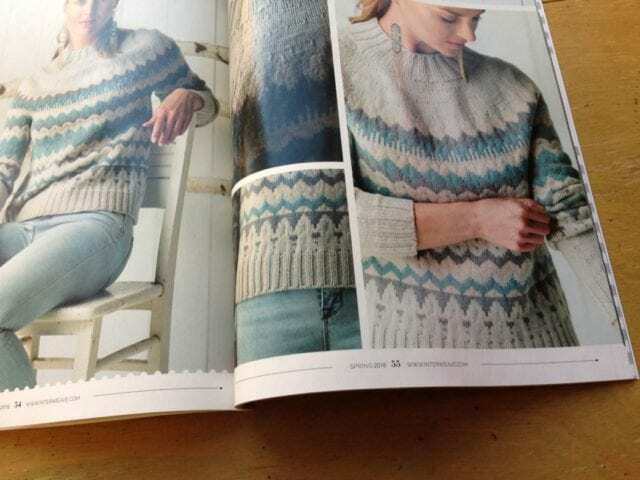 The cabled cardigan on the cover is made with Berroco Ultra Alpaca, a practical worsted weight blend of wool and alpaca. 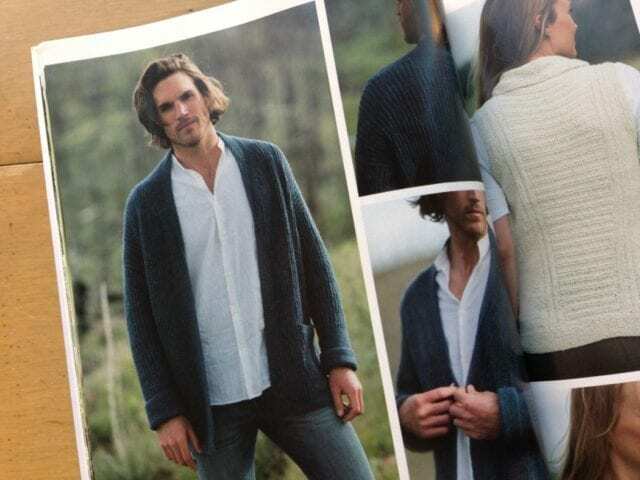 The textured cardigan below is shown in Fibre Company Arranmore Light, a DK weight blend of merino, cashmere, and silk. Those who know me won’t be surprised this colorwork pullover caught my eye, in Brooklyn Tweed Arbor, no less! There’s also a handy article on combining solid color stockinette fabric with stranded colorwork within a single garment, taking into account the difference in gauge that’s often found there. Come by the shop to read it over and peruse these new designs!